Illinois is among the first states in the nation to pass retirement savings legislation in the form of Secure Choice. With the implementation of Secure Choice, workers in Illinois at qualifying businesses without access to an employment-based retirement plan will be automatically enrolled in a retirement savings program. 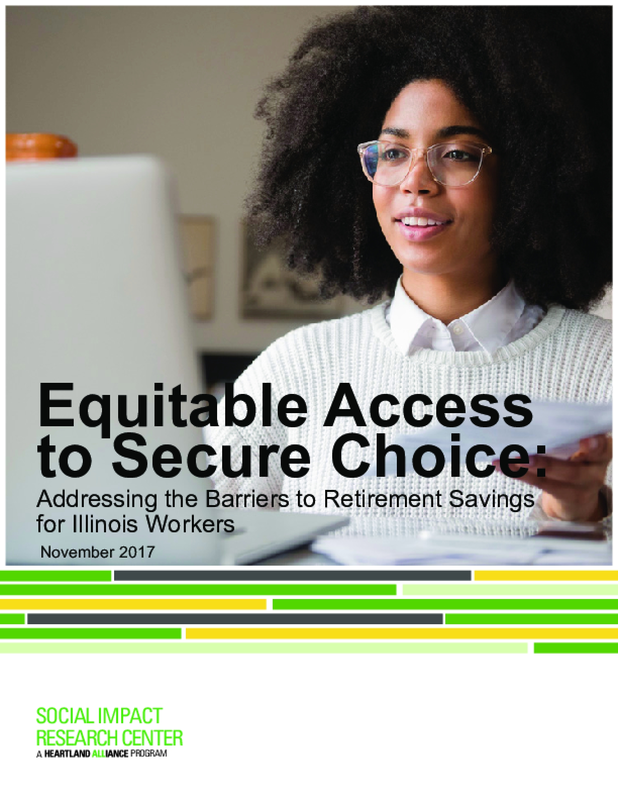 An estimated 1.3 million Illinoisans who currently do not have access to workplace retirement plans will be potentially impacted by Secure Choice. As Illinois moves toward Secure Choice implementation,however, there are a number of key questions that should be answered to help ensure that the program is addressing barriers to participation, especially among low-income workers, women, immigrants, and workers of color. This research is aimed at better understanding these barriers. Data Matters: Who'd Get the Raise to $10 in Illinois? 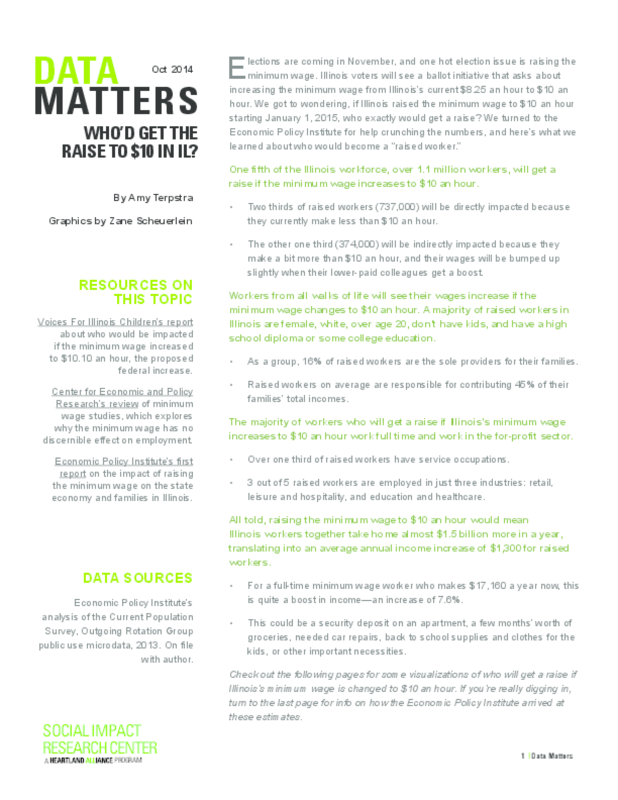 Elections are coming in November, and one hot election issues is raising the minimum wage. Illinois voters will see a ballot initiative that asks about increasing the minimum wage from Illinois's current $8.25 an hour to $10 an hour. We got to wondering, if Illinois raised the minimum wage to $10 an hour starting January 1, 2015, who exactly would get a raise? We turned to the Economic Policy Institute for help crunching the numbers, and this Data Matters explores what we learned about who would become a "raised worker." While the Great Recession introduced unemployment and underemployment to the masses, its significant negative trends aggravated already declining rates of employment in Michigan, particularly among less-educated, young, male, and minority individuals, who were then also hit hardest by the recession. As the nation began to slowly recover after the recession, Michigan continued struggling to find an economic foothold. The State of Michigan, along with private funders, responded with the Michigan Earn and Learn program, with the goal of creating opportunities for people facing barriers to employment to pursue education and occupational training that could help them get ahead. 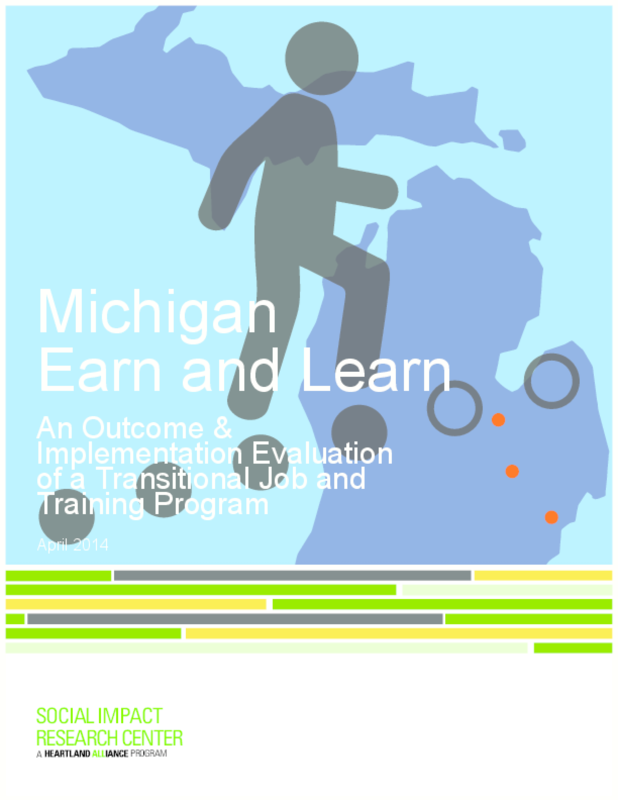 This evaluation report of the Michigan Earn and Learn transitional jobs program was commissioned by The Joyce Foundation on behalf of the State of Michigan. Everyone deserves the opportunity to build a financially secure future for themselves and their families. Access to equal opportunities is the cornerstone of America's core values and is also a necessity to growing a healthy economy. Unfortunately, the reality is a far shot from that piece of the American dream. Income and wealth inequality are at levels that we have not seen since the Great Depression. The Great Recession further expanded an already growing racial wealth gap. Many families have little hope of upward mobility. In fact, day-to-day life is more expensive for those struggling to make ends meet due to unequal access to the tools we all need to build financially secure futures. This includes a basic checking & savings account, a retirement savings account, a college savings account, home and student loans with low interest rates, and a solid credit score that gives you access to these important loans. Many households of color have been denied access to these crucial financial tools needed to build credit and put them on a path to financial health. 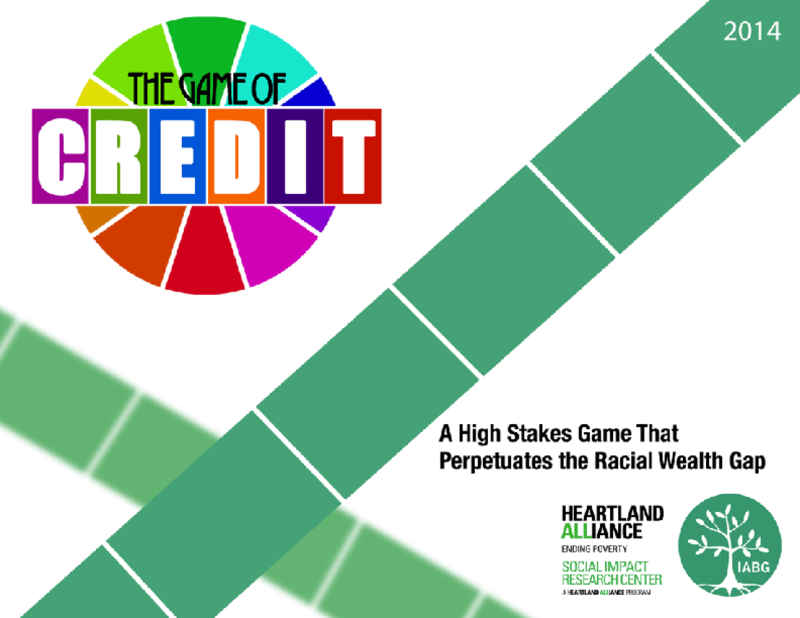 As this report will show, this inequity has led to a stark racial disparity in credit scores as well as related indicators, such as education level, student loan debt, employment, income, homeownership, and home loan debt. Fortunately, there are programs and policies that can help close the gap and therefore strengthen the economy, which are also outlined in this report. Nationwide, the number of people in poverty in the suburbs has now surpassed the number of people in poverty in central cities. Cities have long been thought to be home to the most and worst poverty. However, in the past several decades, the suburbs have experienced the greatest growth in poverty. 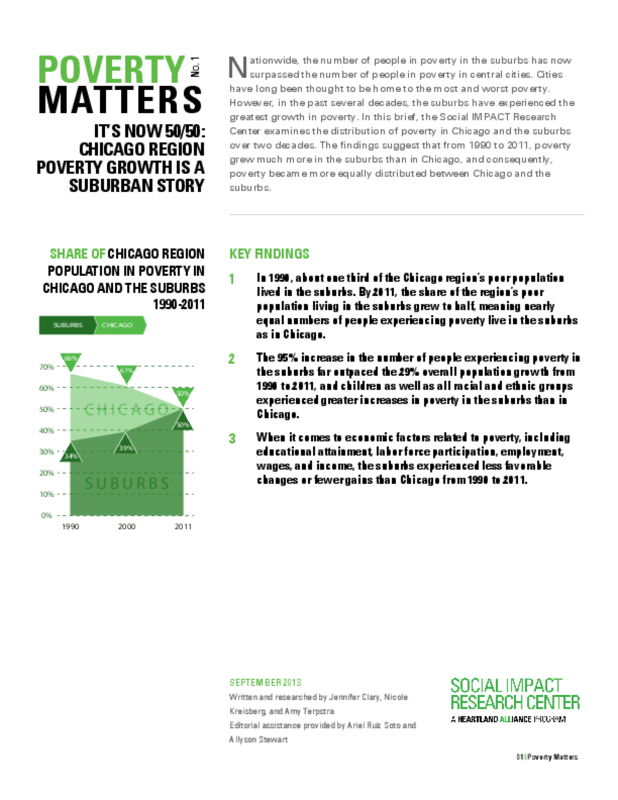 In this brief, the Social IMPACT Research Center examines the distribution of poverty in Chicago and the suburbs over two decades. The findings suggest that from 1990 to 2011, poverty grew much more in the suburbs than in Chicago, and consequently, poverty became more equally distributed between Chicago and the suburbs. This report looks at the unique needs of veterans in Illinois and the Chicago region who have returned to the U.S. since 2001. New veterans face a challenging context upon return: an economy with few job openings, systems of care that have grown accustomed to serving older and predominantly male veterans, and personal resistance to seeking help. These veterans need to have sufficient supports available to them in order to prevent the long-term negative impacts that many previous veteran cohorts have suffered. This report provides a demographic snapshot of new veterans and explains what services they need. The newest cohort of veterans of the United States Armed Forces is a unique population with particular needs. They face a challenging context upon return: an economy with few job openings, systems of care that have grown accustomed to serving older and predominantly male veterans, and personal reluctance to seekhelp. The newest veterans-military service members who have been deployed in 2001 or later-may also suffer from mental and physical injuries that act as barriers to reintegration into civilian life. These veterans require sufficient supports in order to prevent the long-term negative impacts that many previous veteran cohorts have suffered. 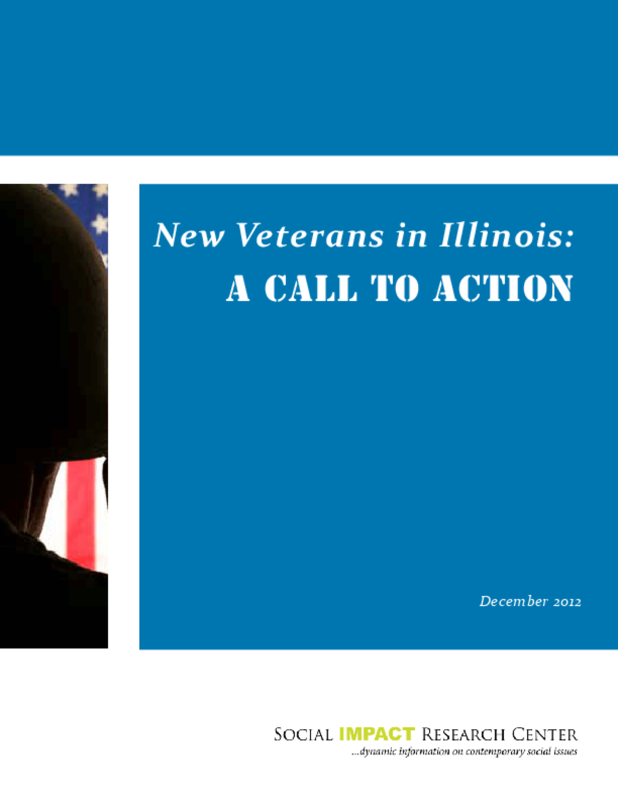 **This is the first in a series of four briefs that provide a snapshot of new and future veterans, their needs, and their service utilization in Illinois and the Chicago region. The newest cohort of veterans of the United States Armed Forces is a unique population with particular needs. They face a challenging context upon return: an economy with few job openings, systems of care that have grown accustomed to serving older and predominantly male veterans, and personal reluctance to seekhelp. The newest veterans-military service members who have been deployed in 2001 or later-may also suffer from mental and physical injuries that act as barriers to reintegration into civilian life. These veterans require sufficient supports in order to prevent the long-term negative impacts that many previous veteran cohorts have suffered. 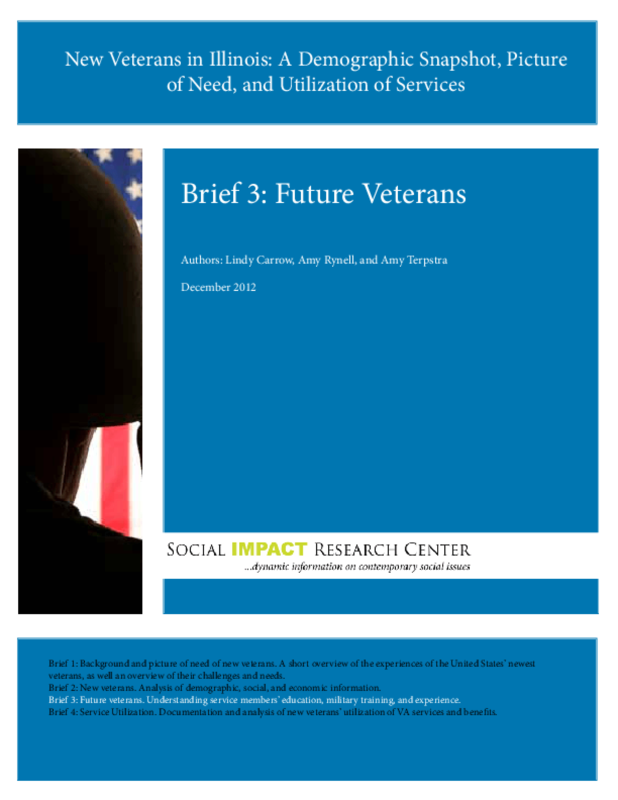 **This is the third in a series of four briefs that provide a snapshot of new and future veterans, their needs, and their service utilization in Illinois and the Chicago region.